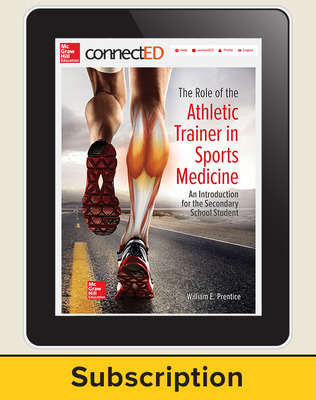 The Role of the Athletic Trainer in Sports Medicine: An Introduction for the Secondary School Student, available in hardcover, is a new program that introduces Athletic Training to the Secondary School student. 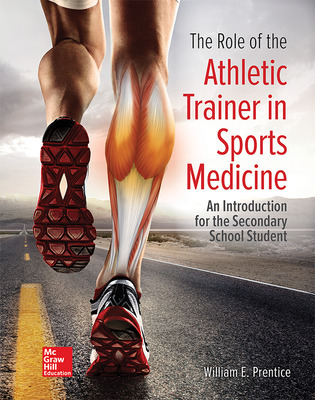 The Role of the Athletic Trainer in Sports Medicine: An Introduction for the Secondary School Student, available in hardcover, is a new program that introduces Athletic Training to the Secondary School student. The Online Student Edition provides additional resources to students where they can highlight text, take notes, and submit online assignments. 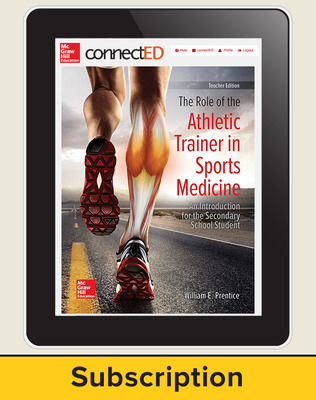 The content matches new curriculum standards created by NATA specifically targeted to the Secondary School student to help them begin their Athletic Training tutelage. 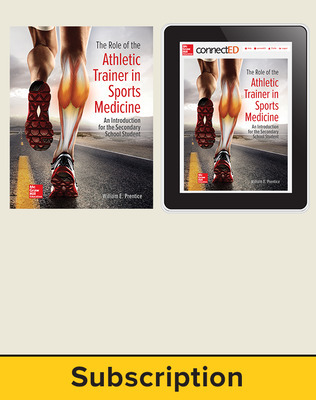 More information about these standards can be found at NATA.org. To demo this product go online to ConnectEd and enter Prentice17 for the username and password.